Since 4 April, and continuing until 7 April, Save SA members have been occupying Church Square in camp the protesters have called VukaniMzansi1. David Lydall of Save SA has called on all people in Pretoria to join the protest. A memorial service will be held in honor of Ahmed Kathrada at St. George’s Cathedral at 2pm. Former Finance Minister Gordhan will be speaking, as will Archbishop Thabo Makgoba and other civil society leaders. The service is open to everyone and looks set to be a rallying point for the call for Zuma to step down. The advert for the service states that Kathrada’s legacy is “undermined” by Zuma. At 4pm, after the memorial service, “in solidarity with the first camp in Church Square, Pretoria” a group calling itself VukaniMzansi2 will establish a camp near the Iziko Museum/Parliament/St Georges Cathedral. Protesters from churches, political parties and trade unions will march from Westgate Transport Hub to Mary Fitzgerald Square at 10am. They intend to reach the square by 11:30am. General Secretary of FEDUSA Dennis George said that they will be marching with other unions. 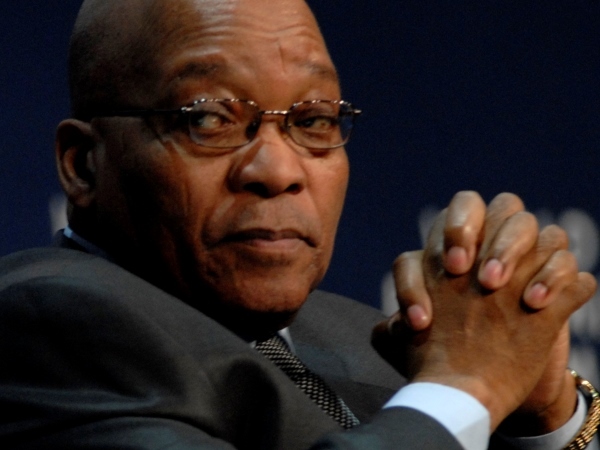 “It’s important for us to work together with them because they have to take the process further by putting in a motion of No Confidence against Zuma,” said George of the political unions involved. Save SA, OUTA, and other groups have called for a march from Church Square to the Union buildings. Protesters will begin to gather at 10am and begin to march at 12pm. Voices to Save SA, We are South Africans, and Zuma Must Fall have, via Facebook, called for protesters to form a human chain leading from Muizenberg Main Road to the city centre beginning at 10am. The DA is leading a march from Keizersgracht Street. It begins at 11am. Several civil society organisations will meet outside Parliament at 12pm to protest. The DA is planning a march from the Durban Circus site. It has called for political parties, NGOs and civil society to join. It begins at 9am. Local political parties are calling for a march from the Town Hall to the Point area. It will start at 8:15am. If you spot any errors or omissions, please email GroundUp. GroundUp/YOU does not necessarily endorse any of these protest actions. We cannot guarantee the accuracy of details provided, nor take any responsibility for the events, none of which are in any way organised or materially supported by GroundUp.